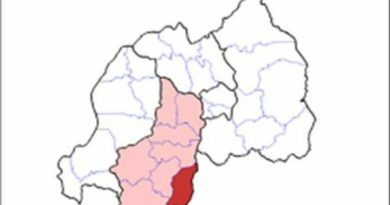 The International Potato Center (CIP) in partnership with City of Kigali launched a week-long campaign on nutrition with a theme: “Good Nutrition and Innovative Urban Farming” today in Mageragere Sector, Nyarugenge district. The Campaign aims at promoting the consumption of diversified diets through innovative urban farming for a better and well-nourished city. In most cities as incomes increase we find that Non-Communicable Diseases also increase. 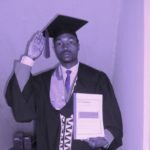 This is in part due to poor eating habits, lack of exercise, exposure to tobacco smoke and the harmful use of alcohol. 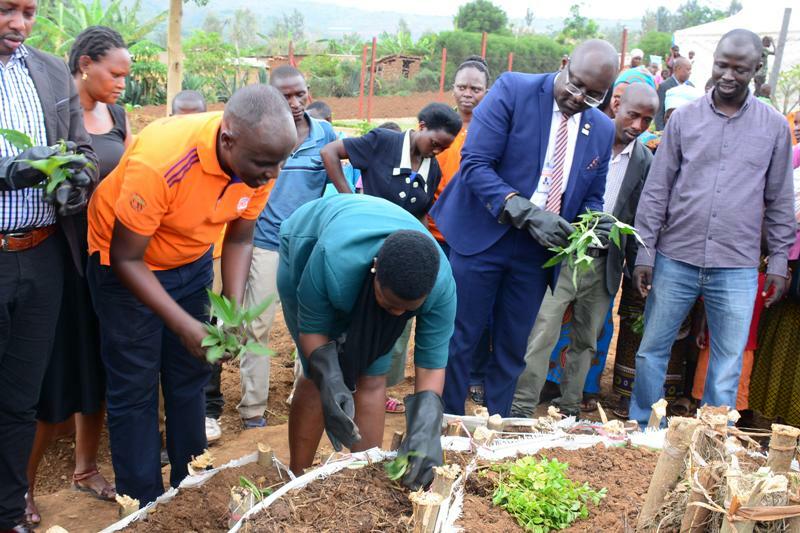 City of Kigali (CoK) in collaboration with International Potato Center (CIP) has organized a 7-day good nutrition and innovative urban farming campaign which will commence on November 27th to December 1st 2017 in Kigali. 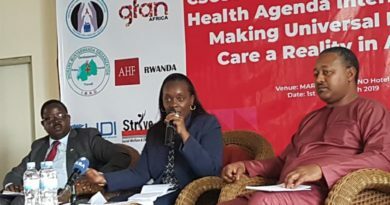 Launching of the Kigali Nutrition Week by Dr. Robert Ackatia, Deputy Global Program Leader and Regional Nutritionist representing CIP) and Patricia Muhongerwa , the Vice Mayor in charge of Social Affairs in the City of Kigali. 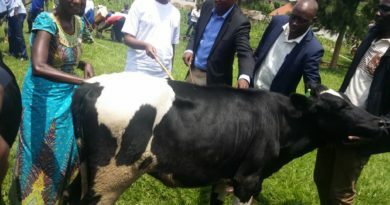 The week-long campaign themed, “Promoting Diversified Diet and Innovative Urban Farming for a Better and Well-Nourished City” is aimed at sensitizing and educating the population in Kigali city on positive ways to improve their health. One focus will be to increase the consumption of biofortified crops, nutrient-rich fruits and vegetables, diversification of diets. To increase the availability of vegetables and fruits in the city, we are highlighting an innovative method of growing these products with limited space and resources. The vertical garden which is seen as the most innovative way of growing vegetables and sweetpotatoes in urban homes with limited space in their compounds. It is the innovative vertical farming approach and is cheaper and easier to manage than the traditional Kitchen Garden. 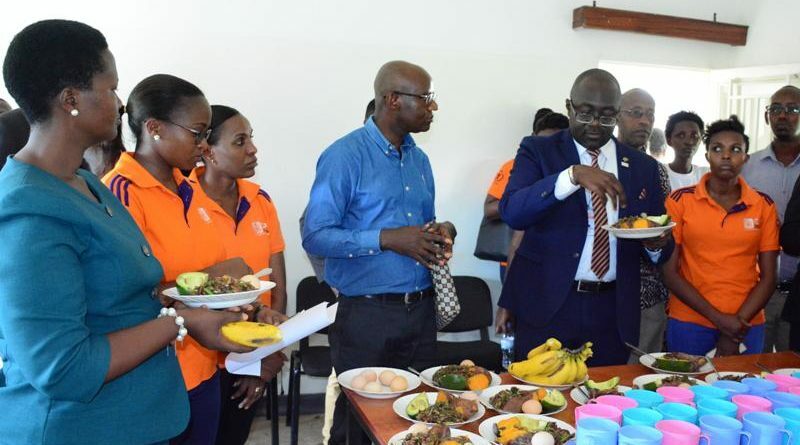 In Rwanda, only 0.3% of the populations consume fruits per day, 0.9% eat vegetables, and 99.1% eat less than 5 servings of fruits and/or vegetables. 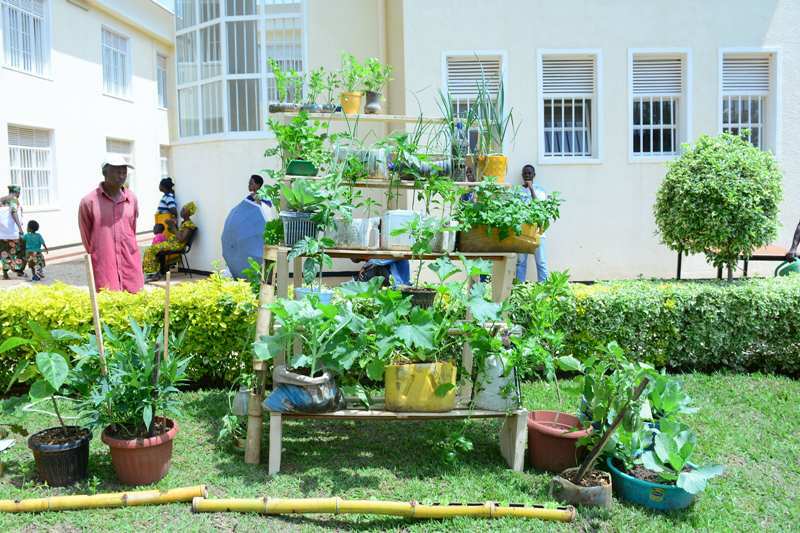 During the launch, residents were educated on how to grow fruits and vegetables using a conventional kitchen garden as well as innovative vertical garden method using items available all over the households and thrown away as waste. Citizens also were taught on how to cook and balance using foodstuff available to the households. 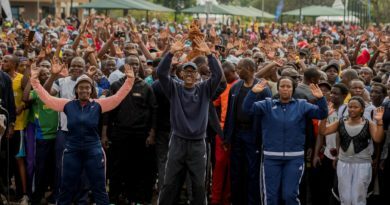 The grand finale of the campaign will be held at Rwanda Revenue Authority during the Car Free Day on Sunday, December 1, where residents of Kigali will be taught the linkage between sports and healthy-eating habits. International Potato Center work impacts people’s lives through training beneficiaries on proper nutrition through social and behavior change communication. This will encourage innovative urban farming methods and better food choices. 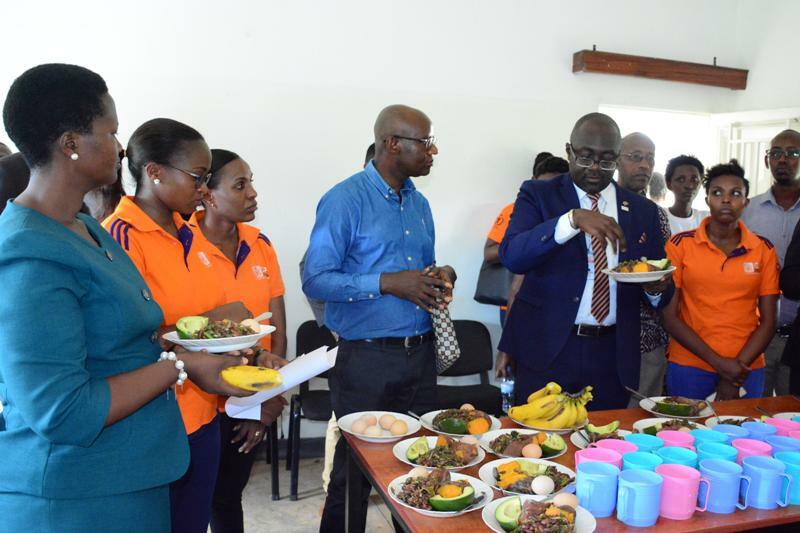 “We hope to contribute to reduction in the cases of malnutrition, stunting and non-communicable diseases in Kigali and Rwanda in general.” Said Dr. Robert Ackatia, Deputy Global Program Leader and Regional Nutritionist representing CIP).